Second practice took a similar pattern to first, particularly when it came to the fight between the Mercedes duo. Kevin Magnussen put on an impressive show to finish third fastest, with a relatively speedy Red Bull next in line. 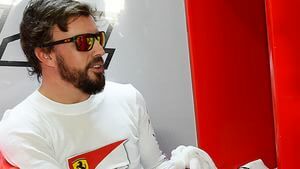 Fernando Alonso had a halted afternoon when his Ferrari stopped out on track after just a couple of laps. He made it back to the pit lane without the car, and didn't rejoin the session. Bottas was the best placed Williams, with Daniil Kvyat also putting in a strong performance in his Toro Rosso.